The Georgia Department of Driver Services (GA DDS) controls issuance and suspension or revocation of a Georgia driver’s license. State statutes and regulations control when and under what conditions a Georgia drivers license will be suspended. 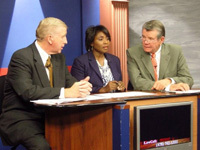 Dozens of state laws lay out the rules for suspending or revoking a Georgia licensee, for such things as auto insurance lapse or being uninsured, failure to complete a defensive driving class, or accumulating too many points on several traffic tickets that causes a points suspension. Additionally, like all other states, being convicted of certain alcohol and drugs crimes while being behind the wheel of a car or truck, brings loss of driving privileges. Some states offer no hardship license or provisional driving privileges for DUI convictions. Additionally, many states (GA, WV) more harshly sanction drivers convicted of DUI-drugs than DUI-alcohol. Plus, some drug-related convictions can also trigger license suspension even when the person was not in a motor vehicle. Generally, a conviction of any moving violation (traffic violation) creates demerit points at Georgia DDS, which can accumulate and trigger loss of driving privileges. The concept of problem drivers being suspended due to excessive traffic tickets is universal in the USA. But, each state legislates what offenses create points as well as the number of points within a given period as being the time when suspension occurs. What’s the Difference Between License Suspension and Revocation? Driver’s license revocation is a much more severe State action against a driver in Georgia. 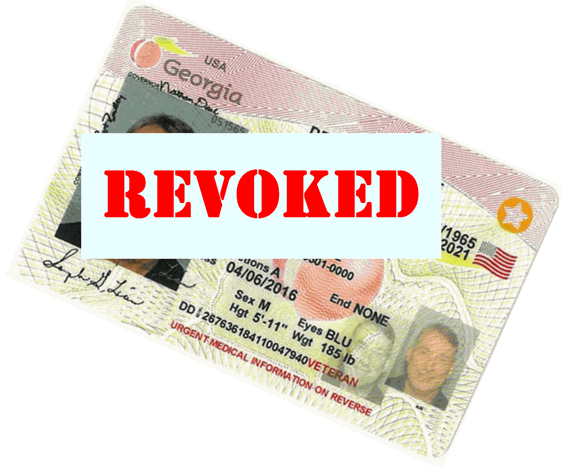 For the DDS Georgia to impose a revocation of license, repeat offenses of a serious nature must occur for a person licensed by DDS in Georgia. For example, a third DUI in 5 years, or third serious driving offense (e.g., hit and run, DUI and attempting to elude would all qualify, in ONE driving incident), the driver is revoked. This means that he or she will be declared a habitual violator (HV) and removed from the Georgia DMV records. Once eligible to reinstate the driver must start over and take the driving test again to get licenses. License suspension and revocation are all tied to Georgia traffic laws, and even can be triggered by failing to pay child support in family law cases. Driving away from a service station without paying for fuel is another potential cause of suspension. Plus, due to the legislative effort to keep students in high school, statutory provisions exist for suspending a student’s driving privileges for skipping school excessively or dropping out of high school. A suspension is basically a time (e.g., 12 months or 120 days) during which a person either cannot drive at all, or possibly obtained a restricted license (called a limited driving permit) in Georgia. The suspended driver who gets arrested from driving on a suspended license would see that suspension period extended. In Georgia, a handful of serious traffic offenses like hit and run, attempting to elude an officer, unlawfully passing a stopped school bus loading or discharging students, and driving under the influence are automatic license suspension crimes, for which points are not assessed. These serious offenses, along with reckless driving GA, are the category of serious driving conduct that can support a first-degree vehicular homicide GA or serious injury by vehicle indictment, each of which (upon conviction) can put a driver in state prison for 15 years, PER INJURY or DEATH. Except for these special driving crimes, any other accident caused by a regular driving offense like red light violation or failure to maintain lane, or following too closely only carry misdemeanor punishment, which includes county jail time of up to 12 months. These are called second degree vehicular homicide cases. The driver’s license laws in the State of Georgia are different (and more punitive) for certain young drivers, who are not age 21 or older. 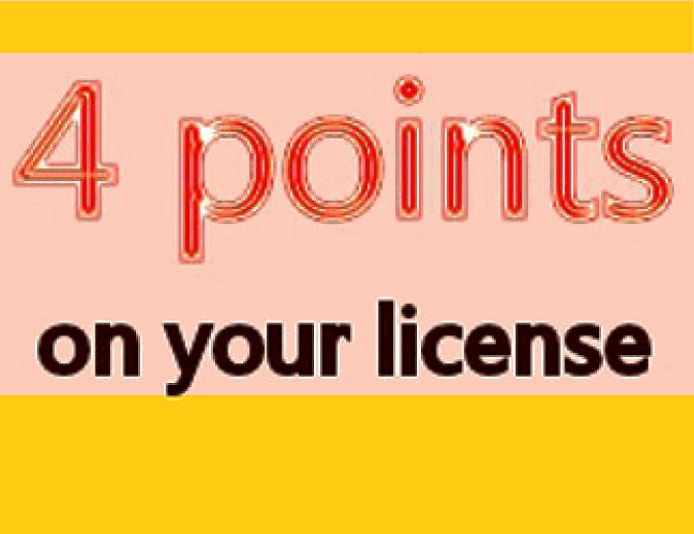 By way of example, the number of points needed to take away the Georgia driver’ license of a citizen under age 18 is four or more points, while for adults it is 15 within any 24-month period. By way of comparison, young drivers under the age of 18 years in a 12-month license suspension period must not incur a violation point count over four points. How Many Points to Get Your License Suspended? Being convicted of certain traffic tickets in Georgia carry a predetermined number of “points.” Three points is the “catch-all” number of points for Georgia driving laws like a stop sign violation, improper passing where prohibited, or running a red light. Speeding, the most commonly-ticketed traffic ticket, calls for a scaled range of points being added to a person’s driving record, depending on the reported speed at the time of disposition. See the numbers below. For convictions of the speeding law, found under OCGA 40-6-181, exceeding the speed limit by 15 through 18 miles per hour over the legal limit posted along the highway brings two (2) points. Three (3) points apply for convictions of speeding 19 to 23 miles per hour over the posted limits. This goes to 4 points if the speed recorded at court is 24 to 33 MPH over the speed limit, or for the traffic offense of reckless driving under OCGA 40-6-390. This jumps to 6 points for exceeding the posted limit by 34 MPH or greater and is the same six points for aggressive driving under OCGA 40-6-397. Texting offenses now carry points (starting at 1 point for a first offender), and having an open container of alcohol in a vehicle adds 2 points. 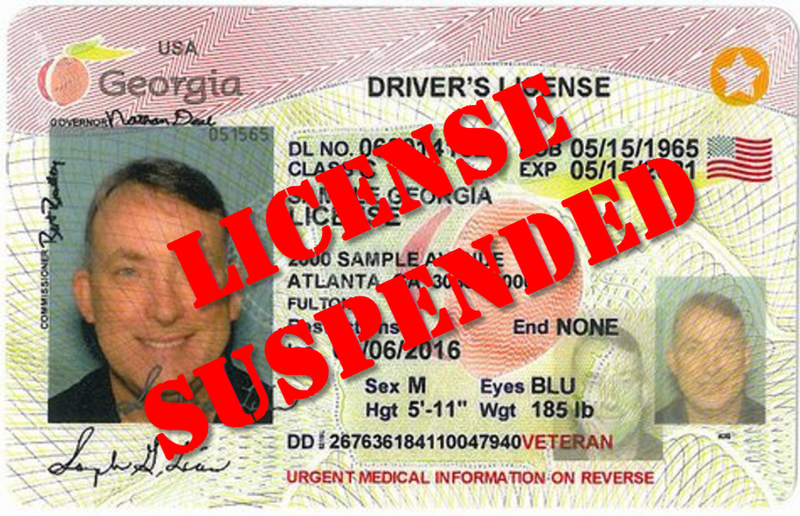 How Many Points to Suspend License in GA? As covered above, since a drunk driving or drugged driving conviction automatically triggers a license suspension (for first of second DUI offenders) or license revocation (for habitual violators), no license suspension points are assessed. 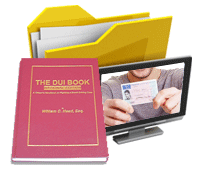 The drivers license suspension for a first offense DUI may allow the driver, if eligible, to get a first offender’s affidavit and go get a limited permit that same day. A driver’s license revocation offers no hardship license or permit of any type, until that person jumps through all the hoops for re-qualifying for a provisional license or full driving privileges in the future. 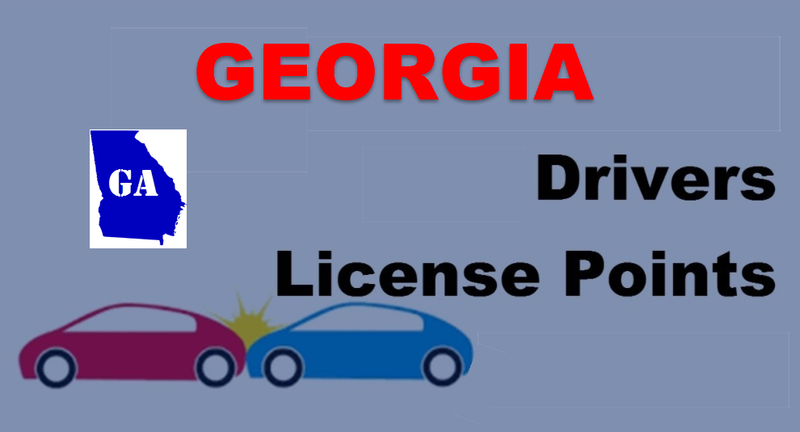 Georgia driving law allows for points reduction of up to 7 points off your driving history by successfully taking a Driver Improvement course (also known as defensive driving) under OCGA 40-5-86. Caution: This course can only be used every 5 years, so be especially careful to not get a second points suspension or third points suspension. 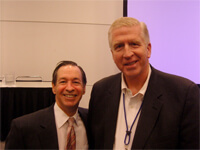 When you are indicted, or go to criminal court or traffic court, you only get ONE Chance to Prevail. 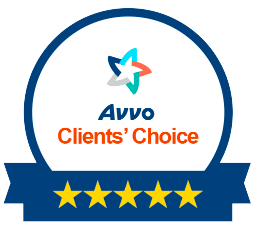 Since our law firm has a combined 73 years of experience with thousands of traffic tickets, and both felony and misdemeanor crimes, why not get a FREE lawyer consultation with some of the most highly-awarded Georgia attorneys? 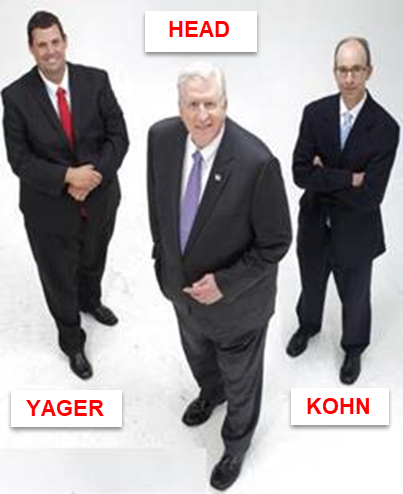 William C. “Bubba” Head, and his law partners Cory Yager and Larry Kohn, are here to help you find solutions that KEEP YOU DRIVING. 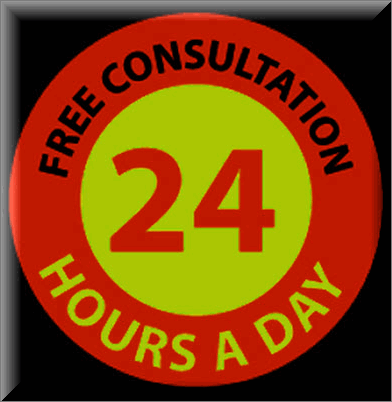 The call and initial consultation are FREE. DIAL us now: 404-567-5515.